Alpay Jan İnkilap was born in Ankara in 2001. He was admitted to the Music Preparatory Primary School of Bilkent University in 2007. 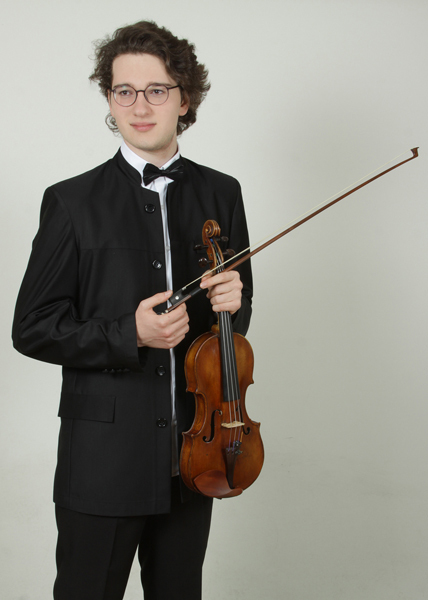 He won first prize at the Gülden Turalı National Violin Competition (2013); second prize in the 55. 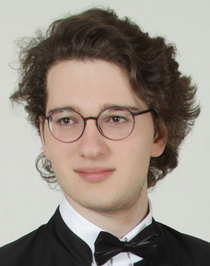 Kocian Violin Competition in the Czech Republic (2013); and third prize in the Bravo International Violin Competition in Belgium in 2014. “Bilkent Violin Days” organized in 2015 and 2016. He has attended master classes given by Alexander Vinnitski (Finland), Mintcho Mintchev (Germany) and Lutsia Ibragimova (England). “Keshet Eilon Music Center and Violin Mastercourse” organized in 2016 and 2017. Itzhak Rashkovysky, Paul Roczek, Vadim Gluzman and Qian Zhou have the opportunity to work in violin mastery classes and also took part in concerts organized. Some of the concerts he had given in Turkey and England include concerts as a soloist with the Bilkent Youth Symphony Orchestra, Ankara Philharmonic Orchestra, Baskent Philharmonic Orchestra and he had played in the school orchestra of Purcell School of Music and in the concert at the Cadogan Hall and the Watford Colosseum. He had given solo recitals at the St Mary The Virgin Church and the St Mating-In-The-Field Church. 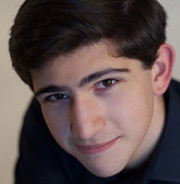 He had earned the opportunity to give a concert at the “Constance Pilkington Hall” after he got through to the finals at the “Senior Concerto Competition” at the Purcell School of Music. And he also had the opportunity to play at the Royal College of Music Recital Hall in a concert organized by his teacher, Itzhak Rashkovsky. 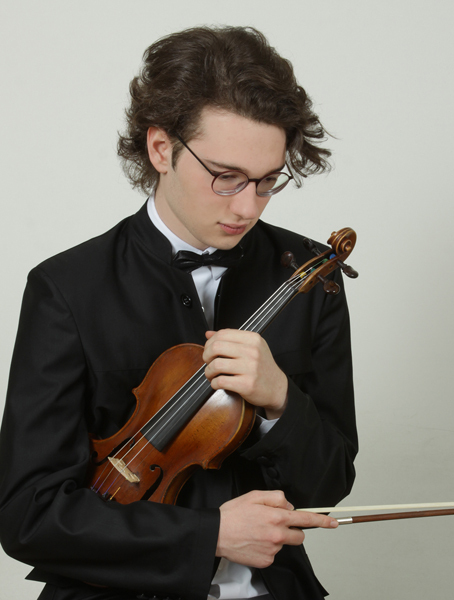 While Alpay Jan İnkilap is continuing his education in Purcell school, he continues his violin studies with the violinist and teacher of the Royal College of Music School, Prof. Itzhak Rashkovysky.